Clear, crisp blue sky in Vermont again today. Yesterday a day trip to Boston, a beautiful drive south through the green mountains. Fall colors bright on the hills, early morning mist still curled up in the valleys. 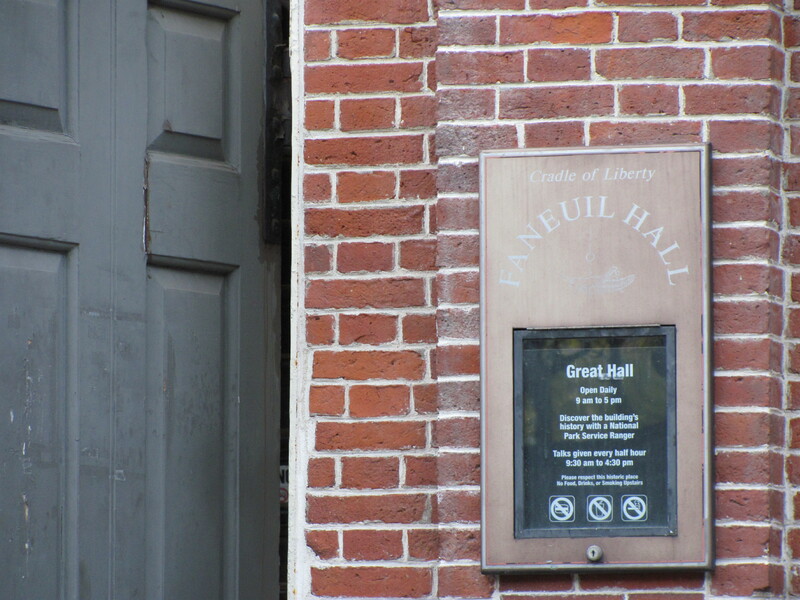 My destination – the historic Faneuil Hall. Originally built in 1742, and witness to some of the most important events in Boston history, it is known as America’s Cradle of Liberty. 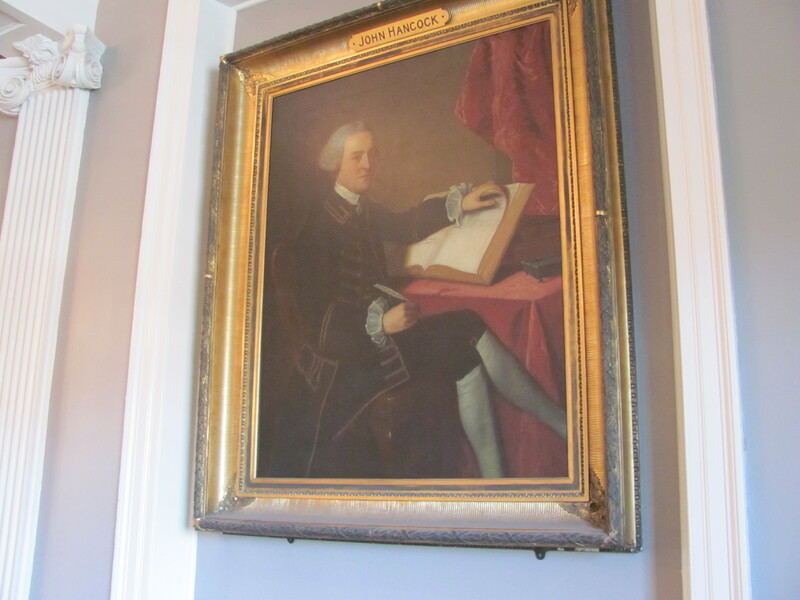 Speeches by Samuel Adams and other patriots given at Faneuil Hall ignited America’s desire to obtain independence. 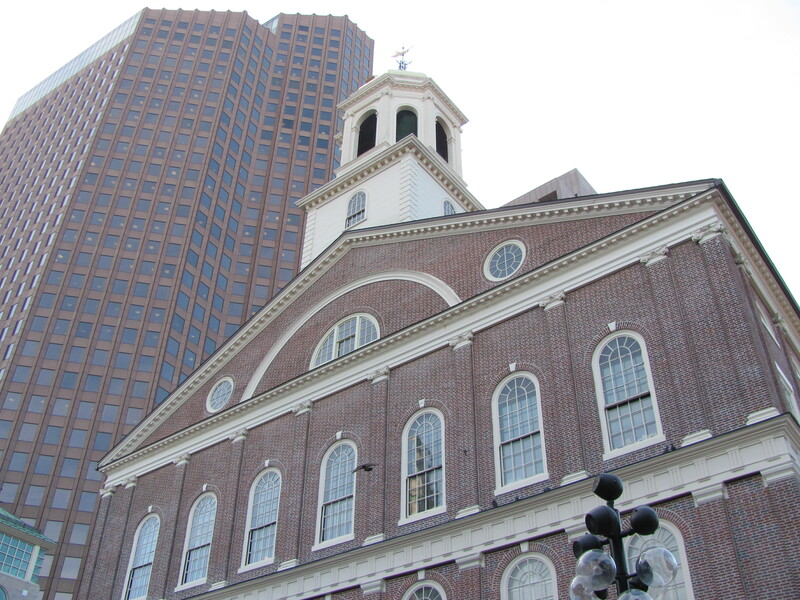 More recently, Faneuil Hall has become a place of meeting for various events, like naturalization ceremonies. And is currently the site of a National Park Service archeology dig. I was privileged to be there to witness over 400 people from 100 nations be sworn in as US citizens. 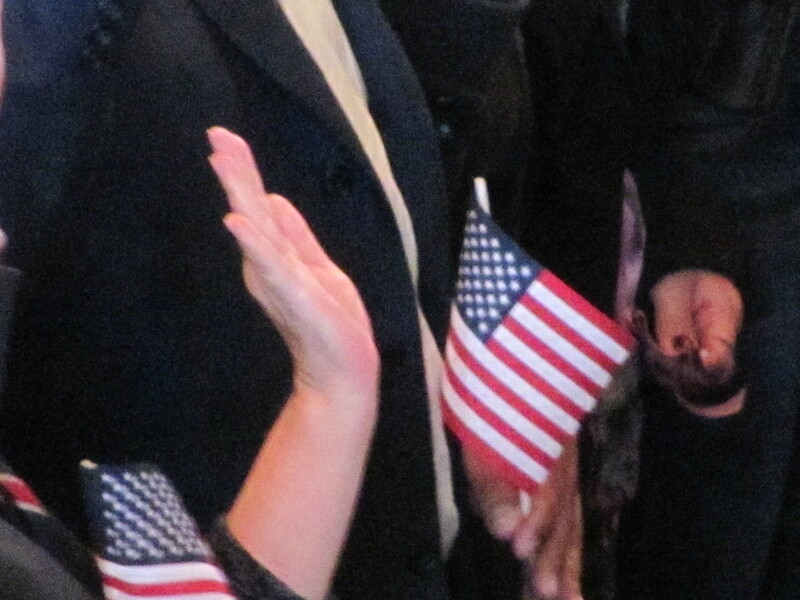 And after many years in this country, my older sister was proud to be among this group of new Americans.